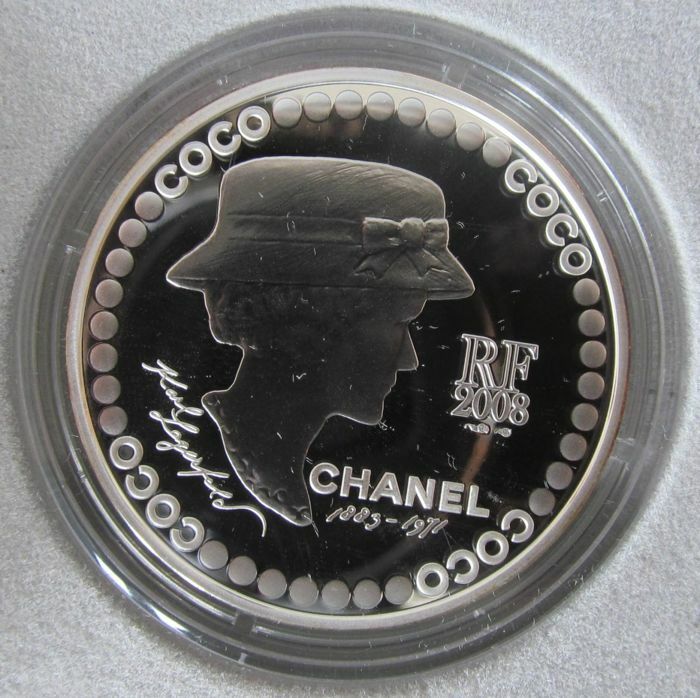 France, one (1) casket containing a silver 5 Euro, proof, '125th anniversary of Coco Chanel' 2008. 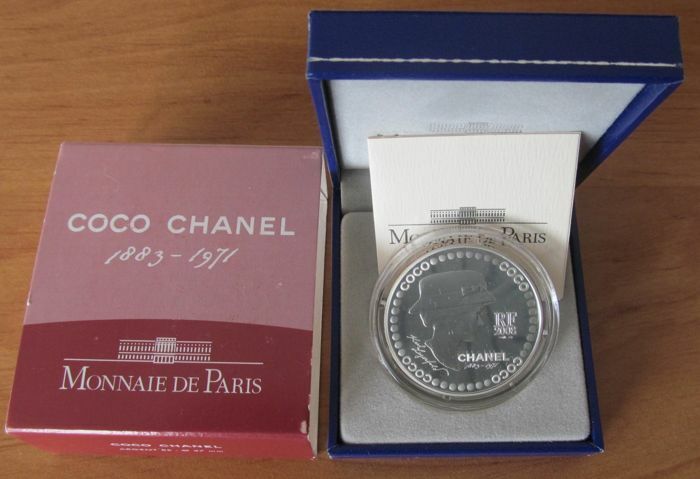 Global mintage: 9,987 copies max. 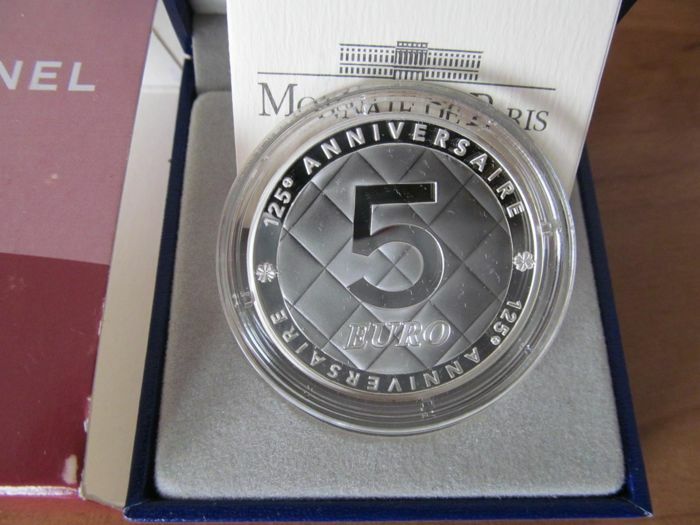 Coin under capsule, with box, Paris Mint certificate and cardboard pouch. Sent by registered mail with insurance. You can pick up this lot from the seller: LE HAVRE (Seine Maritime), France.